Leading Manufacturer of hvac units and hvac system from Mumbai. We are the leading and prominent Manufacturer, Exporter, Trader and Supplier of HVAC Units. 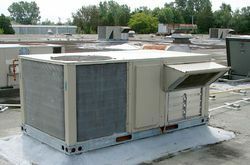 We are the leading and prominent Service Provider of HVAC System. Looking for HVAC Projects ?